Coming in with 51 points out of 100, the Chicco TRE doesn't offer much for serious runner, nor did it perform well in our tests. This relatively expensive stroller makes you think you'll be getting something with the same caliber of performance or quality as the BOB stroller or the Thule line, but unfortunately the only thing the TRE share with those strollers is a price range. This stroller scored poorly in our tests for run-ability with the second lowest score and it failed to earn any scores above average no matter what the test metric. All of this, makes the TRE a stroller we do not recommend. The Chicco Tre Jogging Stroller is designed for children 6 months to 50 pounds. It has 16 inch pneumatic rear tires and 12-inch front tires, with a hand-operated deceleration brake. The canopy is water resistant with a peek-a-boo window. This stroller has a multi-position reclining seat, 5 point harness, and removable arm bar designed to attach the Chicco KeyFit infant car seats. It has a large storage basket, parent tray with cup holders, and lockable swivel front wheel. It also sports an adjustable suspension system and handlebar. This stroller has a one hand fold, aluminum frame, and quick release wheels for a more compact fold. This chart provides a visual comparison of the overall scores for all of the jogging strollers we tested. The Chicco is shown in blue. The metric sections below provide details on the Tre's performance during testing. Scores in individual metrics were used to determine overall scores. The Chicco earned the second lowest score for run-ability in our tests with only the Graco Fast Action Fold Jogger scoring lower with a 2 of 10. Several models scored really well in this metric with scores over 7 and the Thule Urban Glide 2 received a 9. The Chicco earned some points in run-ability for an adjustable handle bar, which makes achieving the right biomechanics while running easier, and for having suspension. It isn't the best suspension, but given that a few products don't have any, we liked that this one offered it. The big drawback is it has no adjustable tracking feature. We feel that for serious runner this will be a deal breaker given that if the stroller pulls in one direction or another then you are just out of luck and left to auto-correct it in motion. Our runner felt it didn't have much glide to it and is really less of a running stroller than the competition. The hand brake on this stroller isn't great and it is in a bad spot for running. It is sort of a puzzle to use and activate and it doesn't really offer much in the way of deceleration. We did like the safety wrist tether because it is long enough to switch hands on the handlebar without having to switch the tether to the opposite wrist. In addition the handle bar is adjustable, which can help with biomechanics of running and helping parents find the right height for decreased pushing fatigue. When running the stroller did seem stable, but it wandered significantly when we traveled off the beaten path and we really missed having adjustable tracking. If we applied uneven pressure to the handlebar it veered to one side or the other. If it goes too far to the side you could end up stepping on or kicking the wheel. It is fairly hard to tip back to turn (a motion necessary when running with a fixed wheel stroller), but luckily you only have to do this for the sharper turns because the play in the front wheel allows for smaller corrections to be made without lifting the wheel. In general, this stroller failed to do be good at the one thing it was designed to do, run. Given that just bout any other stroller in our review earned more points for run-ability, we think it is a no-brainer to pick a different product, especially if you already feel comfortable in this price range. The Chicco has a swivel front wheel that can be locked in place for running. The locking mechanism is located high on the stroller frame which is different than most of the other swivel wheels which lock down at the wheel. This is sort of a useful feature in that it can prevent you from having to touch a dirty wheel, but we wonder if this weird mechanism is why the front wheel is still so wobbly even when locked. This stroller earned a 6 for maneuverability which tied with several others. Our runner felt it was a little heavy and harder to maneuver than it should have been. 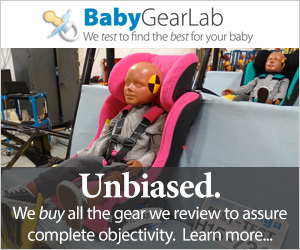 The lowest score in our review belonged to the Graco that earned a 5. The Thule Urban Glide 2 took home top honors in this metric with a 9. For maneuverability tests, we tested swivel wheels with the wheel unlocked. Inherently, the Chicco is easier to turn and push that the fixed wheels strollers, but it isn't as good as the Baby Trend Expedition, Baby Jogger Summit X3, or the BOB Revolution Flex the other swivel wheel models. It is harder to push on flat ground due to size and turning it is also more difficult. The frame flexes and is less responsive when you turn it, which makes the process even more difficult. It performed about as well off road in rougher terrain like grass and gravel as it did on flat surfaces. It isn't as easy to turn on grass as some of the competition, and it got tippy on the side hill requiring us to wrestle it upright, but it did perform well in deep gravel. The TRE earned a score of 6 of 10 for ease of use, tying with several other products. This score is the average for the metric with the Burley Solstice coming in with the top score of 9. So while a 6 might feel like a relatively high score, it is important to realize that it is still lowest score in the group. The TRE has a large under seat storage bin that holds up to 10 pounds. It would not fit our extra large diaper bag, but it did work with our large bag. The storage bin is easy to access and can be used from the back, sides, and front with no troubles. The basket is a similar size to the BOB strollers, but it is a little shallower and a little further back with a solid bar in the back. The seat sits lower than the BOB which takes away valuable storage space. The parent console is made of canvas and appears to be a weak attempt at reproducing the BOB's parent console. The console has 3 mesh pockets that seem a little too shallow and loose to hold water bottles well. Overall, it seems like an afterthought that doesn't really do much more than check the box of parent console on a features comparison page. The canvas bag has a heavy wire frame that hangs from the handlebar and helps keep the bag open. The TRE has probably the largest sunshade in the group. It is possibly bigger than that of the BOB, known for its giant shade. It has good mesh ventilation and a medium sized vinyl peek-a-boo window for spying on baby underneath. It has magnetic closures for keeping a cover over the window which is a nice touch and something we prefer over hook and loop closures that make a telltale sound when used that might wake up a sleeping child, but we did wonder if it might be "whipped" open in the wind when running at speed. The back portion of the canopy can be zipped up to make a much smaller canopy, and it nicely contains the excess material. Closing the zipper does deprive you of the mesh window ventilation, so you might have to make a decision that is really a lesser of evils. The canopy material does stay tighter when open than the material on the BOB when snapped into place. It comes down fairly low in the front, so it might be able to protect little ones from the elements better than some of the competition. The TRE does not have a child tray but it does come with a belly bar. The belly bar is removable and the cloth parts can be taken off for washing. What exactly the function is of a belly bar we aren't sure, but parents seem to like the feature and at the very least you can attach toys and supplies to the bar for easy child access. The seat is a strange shape and the bottom is made of hard plastic The with a kind of a "dish" on the edge. The edge of the seat has a strange transition to the leg rest, we doubt it is very cozy, certainly not for longer durations or over rough terrain. The seat back does recline easily with 1 hand into 4 different recline positions. Adding to the discomfort is that there is no ventilation inside the seat bubble unless you unzip the back of the canopy, which disconnects it from the rest of the stroller. This might be okay, but it seems like a poor solution to a ventilation problem that could be solved with a little bit of mesh. The quality on the Chicco looks nice and is similar to other strollers they offer. It scored a 6 for quality tying with a few other products and coming in 1 point ahead of the lowest scoring stroller for quality, the Schwinn Arrow. The fabric is a heavier coarser weave than most of the competition. it looks like it would catch and collect more crud and debris than most of the other options due to the way the fabric is folded and stitched, but it didn't snag in our tests so we think it will at least stay in one piece over time. The seat and stroller itself has more of an upright appearance and reminded us of some high-end wheel chairs that look like they were designed for daily life activities, not running. The final fit and finish are above average on everything, even if it wasn't our favorite design. We can see why parents might be drawn to the flashy color contrast and different look of this stroller. The wheels look made of aluminum with pneumatic tires that have a smooth tread. It has the tightest set of spoke of any of the products that had spokes. The wheels in the back are approximately 16 inches with a 12 inch in the front, a standard size different found in many of the products we looked at. The frame is a sturdy nice looking aluminum frame with clean lines that only has a little flex, but feels pretty sturdy. The adjustable handlebar isn't as tight as the other adjustable products. It is a foam covered handle with a slight arch that is softer to the touch than the foam used on the BOBs. We didn't like the placement of the hand brake on this stroller because we kept inadvertently grabbing the cable when we just wanted to grab the handlebar, and the brake is not close enough to grip while holding the handle. It is also not far enough away to avoid rubbing the back of your hand on it. While it sounds like they can't win because it is both too far away and not far enough at the same time, given that we had none of these issues with other stroller hand brakes we can only conclude that Chicco needs to change the design to avoid the problem. The ride comfort on this stroller is probably only average and we suspect little ones sitting in for longer runs will grow uncomfortable and start to complain. The bottom of the seat is hard plastic and despite some extra padding is not as comfortable or shock absorbing as the more common sling style seat that has significantly more give over rough terrain. The TRE does have adjustable suspension, but the manual suggests putting it on the stiffest setting when running so we doubt it will do much to help ride comfort. The Chicco earned a 5 for safety which is 1 point below average. The highest scoring products in this metric were the Baby Jogger Summit 3X, Thule Glide 2, Thule Chariot Cross 2 with Jog Kit all earned a 7 for safety. The Chicco has a single action parking brake that is easy to apply and release once you know how to do it. The process is not intuitive and is part of the complicated hand brake system we sort of loath. It is a puzzle that consists of pulling the brake handle and then moving the locking lever. It is easy to think you have activated the brake when it really isn't so we encourage caution and double checking before you walk away from the stroller. While the hand brake is also a deceleration brake we found it doesn't actually do this very well and is sort of hard to pull inn and located in an awkward place no matter what you are trying to do. Smaller hands are definitely going to struggle using this brake. The brakes once set do have more play than a lot of the competition, but it did take over 30 pounds of pressure to move the stroller forward or back so it isn't likely to roll away. While we feel the cup holders on this stroller are too shallow and don't conform to bottles, thus resulting in bottles falling out, we don't consider them to necessarily be a safety concern because the console and cup holders are located low enough that the bottle just falls on the floor, not on the baby in the seat. Safety hazard or no, you aren't likely to enjoy using the cup holders for cups and are more likely to use them for holding keys and other random small items. The harness is a 5-point harness that is easy to get on, but not the best for adjusting. The thicker straps and extra stitching make it harder to get them through the connectors and the padding gets in the way of where the adjustment points are. Also, it is the only product we reviewed that lacked an adjustable crotch strap and the strap provided is so long it reaches up to smaller babies shoulders; this makes the harness hard to get small enough for smaller riders. This could be a safety concern if parents don't take the time necessary to adjust the harness properly. This stroller does have a safety wrist strap and recommends children be 12 months old before running in the stroller. The Chicco did not do well in our tests for weight and folded size coming in just 3rd from the bottom for overall scores in this metric. The Graco is also a heavy beast and came in lower than the Chicco. The top scoring strollers for weight and folded size tests are the Thule Glide 2 and Thule Urban Glide 2. The Chicco weighs 30 pounds 3 ounces and is over 15,800 cubic inches when folded in a standard fold. If you remove the wheels it does fold more compactly, but we assume most parents will be too overwhelmed and busy to remove wheels regularly. You will want to double check your trunk space before purchasing this stroller because we suspect it might not fit in some smaller cars or will require wheel removal to squeeze in. The TRE is an easy to operate one hand fold that auto locks and self-stands. It might take a little practice to be able to fold and unfold it gracefully, but it isn't difficult, just awkward. It took about 12 and 1/2 minutes to get this stroller out of the box and rolling. Over it is had about double the amount of assembly required, but it doesn't require any tools and is relatively easy. The handbrake handle on ours was very loose and had to be tightened after the fact. It has a 2 language manual that is very clear and thorough with good illustrations. It is a tad longer than other manuals, but it didn't feel like a giant useless book. Parents who like the Chicco brand might be drawn to this stroller. However, given the inflated price tag for what you get, we don't think it is a good buy. Even if Chicco is your brand of choice it simply did not perform well in our tests for running or jogging. In addition, it doesn't offer enough convenience features to be good as a primary stroller. For less money you can get a better jogging product or a better everyday stroller, there is no need to be saddled with a product that really isn't great at anything. This Chicco has a list price of about $380 dollars. This puts it in the same price range as many of the top scoring products in this review. Given that you can purchase a product that scored significantly better for the same price or significantly less money we see no real value in choosing the Chicco TRE. First, our Best Value winner the Baby Trend Expedition cost less than half of what the TRE does with a list price of $120. Plus, it scored 13 points higher with a better score in almost every metric including run-ability and maneuverability, which makes it a better value. If your goal is a serious running stroller then the Chicco is not only overpriced but not a great running option. For $30 less list price you should consider the Thule Glide, a fixed wheel option that came in 3rd place overall in our tests. Alternatively, if you need/want a swivel wheel stroller for $20 more list price you can purchase our Editors' Choice award winner, the Thule Urban Glide, which came in first place and earned 34 more points overall. The Chicco TRE came in the bottom third of strollers tested. For a jogging style stroller, it did poorly in our run-ability and maneuvering tests and proved it had little to offer in the way of serious jogging. With a relatively high-end price tag, we assumed it would perform better or offer something on par with similarly priced products. Unfortunately, there are better strollers available no matter what feature or function parents might be looking for. Given that some of the top scoring strollers are within $20 of the TRE, and the Best Value winner is less than half, we simply can't recommend this stroller. If Chicco wants to be taken seriously in the realm of joggers, we think they will need to consider a significant design change to improve performance in our tests. The competition is stiff and the Chicco didn't measure up in tests. Chicco also offers the ACTIV3 which they describe as a "stylish everyday stroller and a fitness jogger". This is a cheaper stroller than the TRE with a list price of $300. In general, it looks very similar to the TRE with possibly smaller plastic wheels. We did not test this stroller but feel that if it is similar to the TRE it is probably not worth the list price and we think there are better performing options in our review for a similar price. This is a Chicco produced video of the features found on the TRE.